Food prices have been rising, but don't fear: Not all groceries are more expensive. 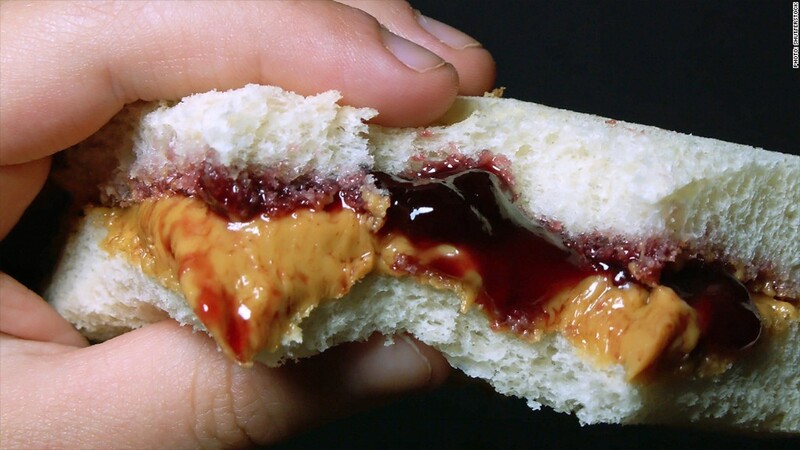 All the fixings for peanut butter and jelly are cheaper now than they were a year ago. Food prices have been rising for six months in a row and are up 2.3% from a year ago, according to the Consumer Price Index -- an official inflation measure calculated by the Bureau of Labor Statistics each month. But don't fear: Not all groceries are more expensive. All the fixings for peanut butter and jelly are cheaper now. White bread prices have fallen 2.8% over the last year and canned fruit (a category that includes jelly) prices have fallen 0.7%. Meanwhile, peanut butter costs 3.8% less than it did last year, which is a big relief after producers hiked prices in 2011. The Bureau of Labor Statistics does not break out price details for crunchy versus creamy peanut butter, unfortunately, but according to the National Peanut Board, a farmer-funded research group, women and children tend to prefer the creamy stuff, whereas men prefer a crunchier spread. That group also claims the average child will eat 1,500 peanut butter and jelly sandwiches before graduating from high school. Each month, government data collectors visit or call stores around the country to track the prices of thousands of items, ranging from groceries to used cars. Once combined, that data makes up the Consumer Price Index, a key measure of inflation experienced by average American consumers. That latest CPI was released Tuesday morning and shows inflation is tame. Consumer prices have risen 2.1% over the last year, a level that's considered normal in a gradually improving economy. Much of the recent increase comes from energy prices, which have risen amid turmoil in the Middle East and Ukraine. Stripping out both energy and food though, shows other prices that consumers pay for goods and services are up only 1.9% over the last year. A little inflation is considered a good thing. The Federal Reserve, for example, aims to keep prices rising about 2% a year. Why? If prices fall (aka deflation) consumers have little incentive to spend money, especially on big ticket items like cars, appliances or homes. Why buy now, if you expect prices on those things to be lower six months from now? This phenomenon can slow the economy. As inflation gradually picks up this year, the big concern now is will American wages keep up with price increases? Wages did rise slightly in June, but not enough to keep up with inflation. In fact, real hourly earnings are down just a hair -- about 0.1% from last year, according to a separate report released by BLS on Tuesday. Federal Reserve Chair Janet Yellen wants to see wages rise faster than inflation, so American households have more buying power. If this happens, it could boost consumer spending -- the single largest driver of economic activity in the United States. Some independent economists expect wages to rise more later this year as the job market continues to improve, but for now, workers will have to keep waiting.